Being one of the biggest islands in Raja Ampat Regency, Batanta keeps attracting many tourists. Thanks to its beautiful nature and peaceful atmosphere. 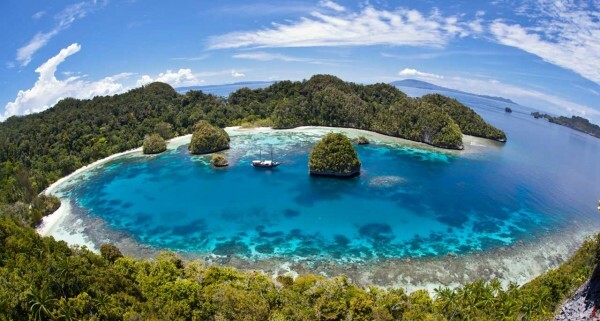 In terms of beauty, it is similar to other islands, which are located in Raja Ampat. However, it holds a significant uniqueness. Travelers can enjoy trekking prior to exploring all parts of the island, so it is going to be a great adventure for everyone. Apart from trekking, most tourists come to Batanta Island to enjoy its peaceful beach. Not to mention there are numerous types of trees growing on the island! First, it is the beach. The island features a flawless beach with its comfortable nuance. That means tourists can relax and enjoy the coastal atmosphere at the same time. The white sand is quite luring, so visitors are likely to walk on in comfortably. No wonder, beach walking becomes one of the best activities in Batanta Island. In the back, there are numerous plants and trees. These include coconuts, pines, and other wild trees. In terms of landscape, the island features some highlands. This explains why many trekkers often come to Batanta. The most popular activity to do in Batanta Island is sightseeing. Apart from the beautiful beach, the island is also popular for its waterfall. The location is in the nearby village, but it takes a little bit trekking to reach the location. At least, it takes about 1 km to reach the waterfall! Despite the tiring trip to reach such beautiful tourist spot, travelers are able to enjoy the nature. After all, the landscape is covered by lush trees and rejuvenating air. Not to mention other travelers would be a good companion when exploring Batanta Island. It won’t be a lonely adventure, after all. As mentioned before, Batanta Island has a beautiful waterfall. The height is about 10 meters and it features refreshing water and breathtaking nature views. Near to the waterfall, some river rocks are scattered majestically! Visitors can climb on them and take pictures using their camera. The thing is the landscape is quite slippery, so it is better to be safe than sorry. Another feature of the waterfall is the small cave, which is located on the back of it. The size is small, so it can only accommodate about 5 people. Batanta Island is also popular for its traditional villages, on which tourists can explore and learn. The local culture and foods become the prime attraction in those villages, after all. The villagers also give an opportunity for backpackers to stay in their house. In this case, tourists should learn how to communicate with them well. As an alternative, some homestays are available there. Despite the price, the quality is excellent! There are several methods in reaching Batanta Island. The most common one is to head to Waisai City using an airplane first. From there, travelers can simply head to Waisai Port and take a ferry to Batanta. That’s all.